If you have a favorite pair of shoes you can’t wait to put on this summer, but don’t think you can because of damage or wear they’ve sustained, Corey’s Bootery can provide the best shoe repair in Kalamazoo. 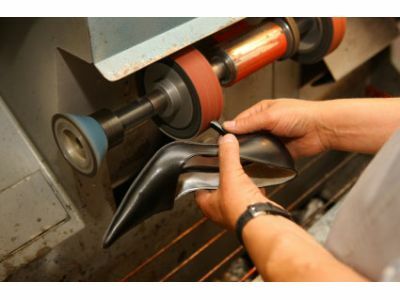 With experts always on staff and ready to help, Corey’s Bootery is the shoe store that you can depend on no matter what sort of repairs your footwear needs. Should You Replace or Repair Worn Out Shoes? When it comes to footwear, it’s always sad to see a good pair of shoes get decommissioned due to damage or wear. Over time, we all get attached to our shoes. They become our daily companions, they mold to our feet and, in many ways, become an extension of who we are. From the way they work with our personal style to the comfort they offer after months of being broken in, losing your favorite pair of shoes is extremely disheartening. However, what a lot of people don’t realize is that a good shoe repair shop can repair almost any damage that has occurred to your shoes.